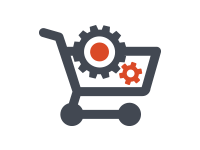 E-Commerce - Blackrock Networks, Inc.
With numerous plugin options with WordPress we can take a simple website and convert it into a online store. WooCommerce is one of the most popular WordPress ecommerce plugins up there with Shopp Plugin (Yes shop with two p's). We can customize these any many more WordPress Store Plugins to turn your site into a online store.